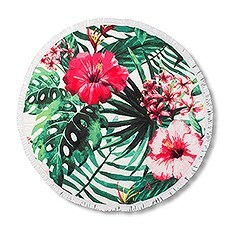 Beaches make a beautiful backdrop for a celebration of love and commitment, and your beach wedding can be a big hit with everyone in attendance. 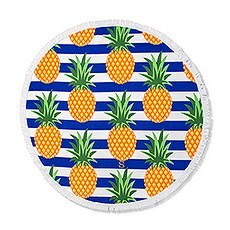 Now all you need are gift items for guests that perfectly match your sun and surf theme. 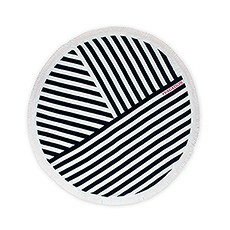 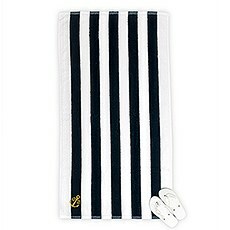 Fortunately, we’ve come up with a great idea for personalized wedding gifts for this fun theme: beach and bath towels. 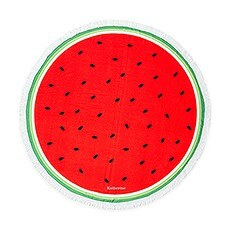 Anyone familiar with hanging out at the beach knows towels are useful for relaxing on sandy surfaces, and they can also be used for drying off after a swim. 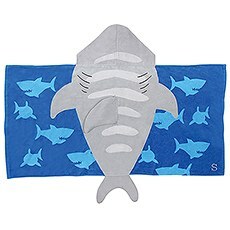 Browse our towel collection to find cool towels for any beach or marine themed party. 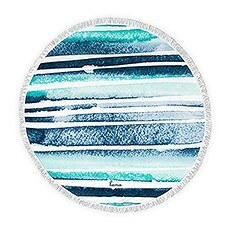 Personalized beach towels come in more than one shape, and to prove this point, we’ve included towels in the traditional rectangular shape and the modern round shape that’s just as popular. 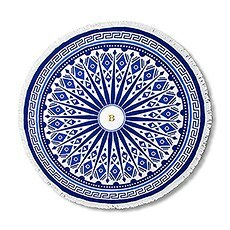 Also, we offer a great choice of towel colours and patterns, making it much easier to find towels that suit your party’s theme. 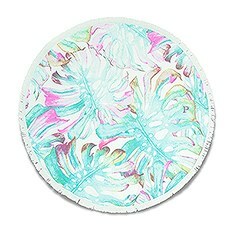 Find classic stripes, florals, patriotic, tropical and whimsical styles to delight wedding participants and/or guests. 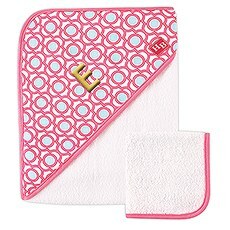 Most towel styles can be personalized with a monogrammed initial in your choice of thread colour. 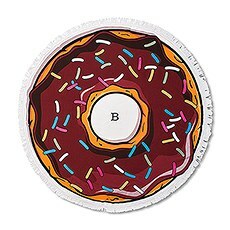 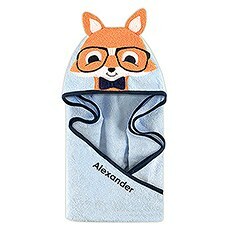 Delight kids attending a wedding celebration with neat towels featuring an array of characters or themes. 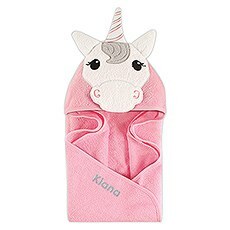 Kids often create imaginary worlds, and we offer hooded bath and beach towels that spark adventures during playtime or bath time. 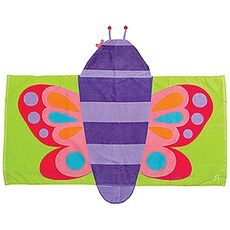 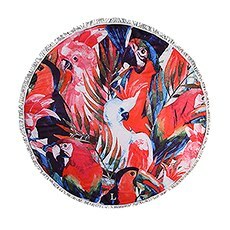 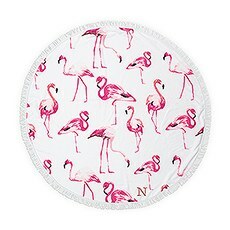 You can choose towels featuring cute animals, birds, marine life and bugs. 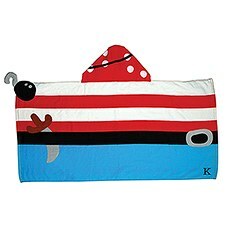 Or, select a storybook pirate towel that fits a fun fantasy theme. 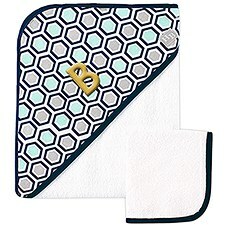 These too can be personalized with a monogrammed initial. 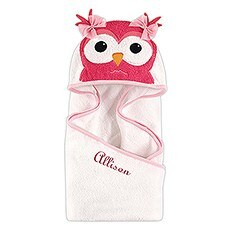 Towels also make wonderful baby shower gifts and you can find hooded towel and washcloth sets for expectant moms. 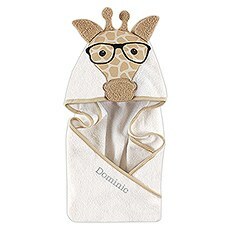 Keeping a baby clean and happy is a lot easier when there’s a towel set handy, and your thoughtful gift can be monogrammed for a nice personal touch.